Original and organic is tough to pull off. Too often, an author will lose control of a story in the effort to make it seem different and unique, but when it does work, it can be a beautiful thing. 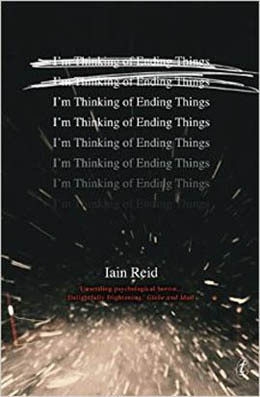 Case in point: I’m Thinking of Ending Things by Iain Reid. Within this slim volume, Iain Reid tells a tale laden with depth and insight all wrapped in a nail-biting and gut-wrenching psychological suspense plot. The story of I’m Thinking of Ending Things is a simple one. On a snowy evening, Jake and his girlfriend are traveling by car to visit Jake’s parents. The un-named girlfriend – our first person narrator – spends much of the journey trying to decide how she will end her relationship with Jake. After the visit to the family farm, they are unexpectedly waylaid at an abandoned high school during their trip home. That is the crux of it, but what Iain Reid does with those elements is something unexpected and sublime. When readers begin I’m Thinking of Ending Things it only take a few pages before a feeling of unease settles over the proceedings. Crime fiction fans are used to this, but typically it is possible to point to the reason for the disquieting feeling. With I’m Thinking of Ending Things, readers will have a harder time pinpointing the reason they feel that danger looms, but the impression is real and unstoppable. This sense of menace only increases as the pages are turned. Iain Reid structures the novel so that the early chapters are short and zip the reader along at a quick pace. 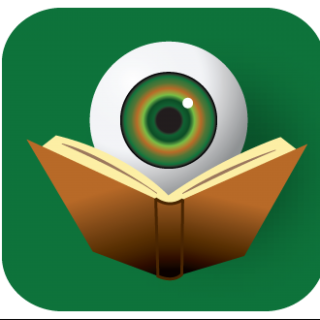 By the time the storyline gets to the school setting, the chapters have become longer and the creepy elements begin to coalesce. The farm visit has a distinctly Gothic feel. Jake’s parents are, for lack of a better word, odd – adding to the discombobulating impression generated by the entire book. Given how short I’m Thinking of Ending Things is, readers could easily complete this book in an afternoon, but because of the higher-level philosophical topics discussed, the novel benefits from a slower, more analytical reading. Literary – that indefinable buzz word – is a perfect description here, but rather than eschewing the genre elements that are typically looked down-upon by the literary set, Iain Reid capitalizes on them to great effect. Regardless of how you classify I’m Thinking of Ending Things, this is the type of book that screams for a second reading immediately following the closing of the covers after the first. Iain Reid has had much success with the memoir format and it is possible to see the influences of that in I’m Thinking of Ending Things. As a first novel, this book is a true masterpiece and readers will be hoping that Iain Reid continues to experiment with fiction for many years to come. Disclaimer: A print version of this title was provided to BOLO Books by the publisher. No review was promised and the above is an unbiased review of the novel. Sounds like a fascinating book! I’ve seen the cover image here and there, a mention or two, but your description of it pulls me in. Thanks so much! Thank you Art. It’s really a masterpiece. Certainly not a book for everyone, but for those to whom this review seems intriguing, it will be like catnip. I hadn’t heard of this yet, but it’s going in my TBR pile after this wonderful introduction! It’s been too much under the radar, Sherry. In some ways, in terms of marketing, it’s too literary for the crime genre and too genre for the literary set, so I fear it will get lost in the mix. This is just my small part to make sure that does not happen. Sounds fascinating. That’s two so far for the TBR pile (good thing it’s just a list at Goodreads or I’d be buried alive). Let’s not even discuss TBR piles. Mine is more like Mt. Everest. Thanks for stopping my Suzy. I’m Thinking of Ending Things is definitely one of those books that benefits from multiple readings.